See this picture? 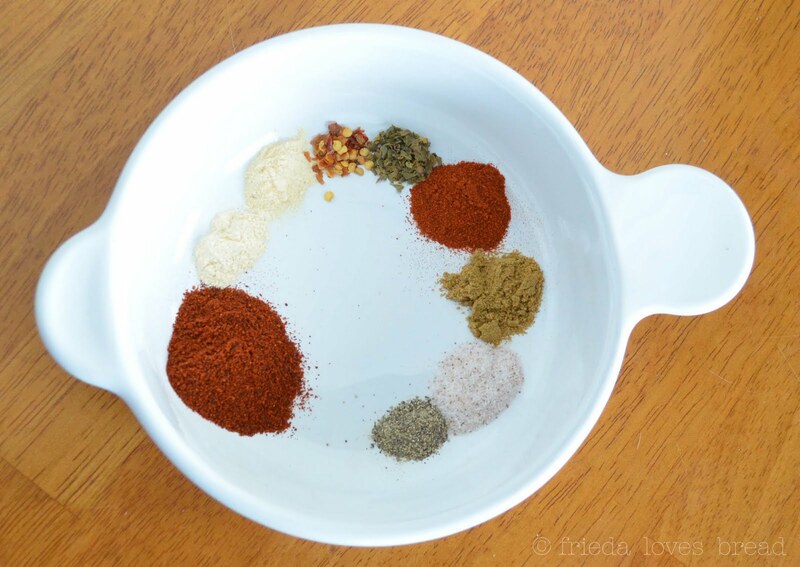 This is all you need to make your own taco seasoning. The ingredients: (starting at 8 o'clock and going clockwise) Chili powder, garlic powder, onion powder, red pepper flakes, oregano, paprika, cumin, sea salt, and black pepper. Take a look at your taco seasoning mix label. Does it have ingredients you can't pronounce? This empty jar of Costco size taco seasoning that I've had for about ... um ... let me see ... three years? prompted me to find a recipe and make it my own. This particular brand of taco seasoning that you see above it just a touch too spicy for the kids, another reason to make your own seasoning. So let's ditch the packets (or Costco sized jar) and make our own! You can adjust the heat levels by adding more chili powder or red pepper flakes. If you don't have red pepper flakes, you can substitute cayenne pepper. It took me about 10 minutes to throw all the ingredients together. Let's watch my 18 year old son make taco meat! 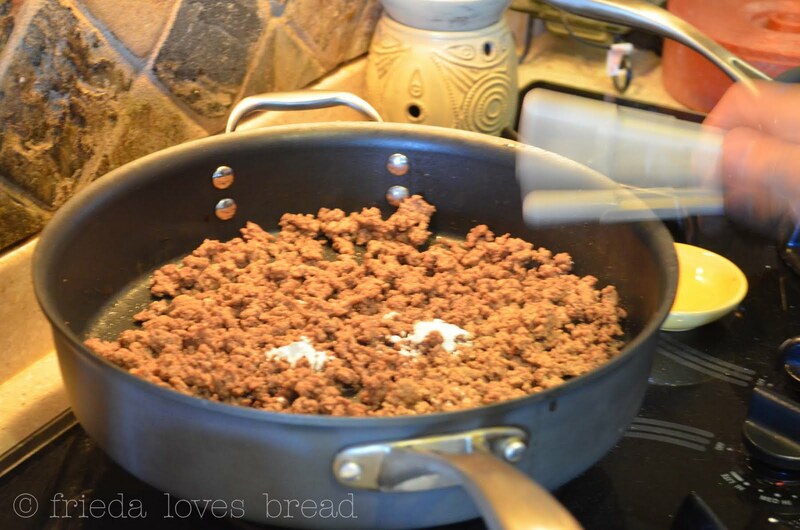 To the cooked and drained one pound of ground beef, add 1 teaspoon of cornstarch. Stir to coat the cooked beef. 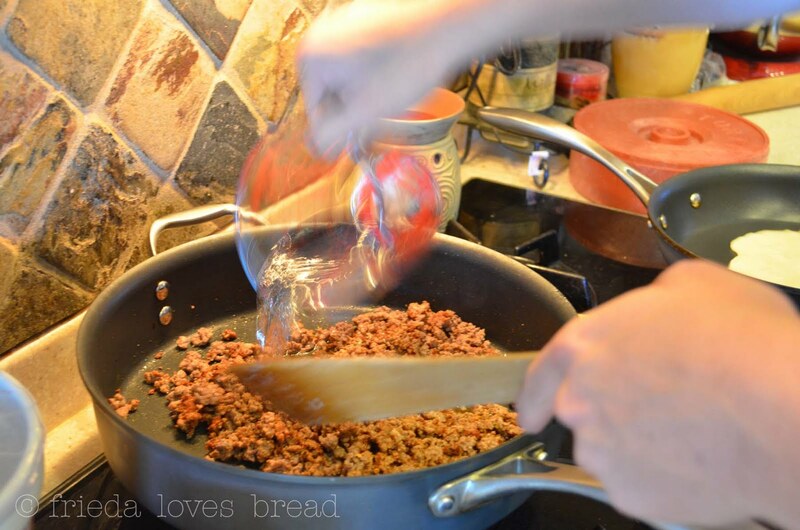 Cornstarch is totally optional, but my family likes their taco meat "saucy." Then add 2-3 Tablespoons of the taco seasoning. We started with 2 T. and my family loved it. Perfect. Give the seasonings a stir over medium heat to allow the spices to "bloom" or become more flavorful. Add 2/3 cup water and stir over medium heat until thickened. He's a quick chef, isn't he? See the pan next to him? That's homestyle flour tortillas being cooked up by one of his friends. The recipe I have provided will make 3 Tablespoons of seasoning, which is approximately one packet of commercial seasoning mix. Feel free to do the math to make a large batch! 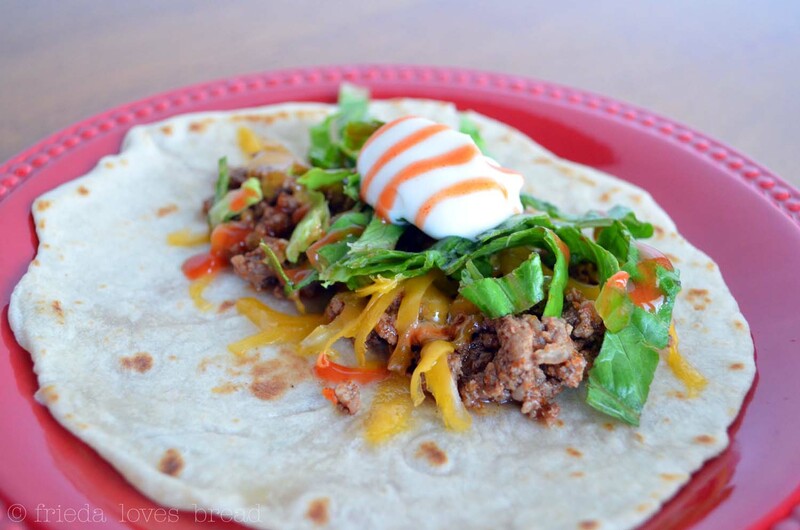 Use simple spices that you can easily find in your cupboard to make this easy taco seasoning! Perfect for tacos, spaghetti, mac & cheese, or added to sour cream or cream cheese for a taco dip. This recipe makes 3 Tablespoons, which is the equivalent of 1 packet of commercial seasoning mix. You can easily triple this recipe and store it in your favorite spice jar. 1. In a small bowl, mix together chili, garlic, onion powders, red pepper flakes, oregano, paprika, cumin, salt and pepper.2. Store combined seasonings in an airtight container. 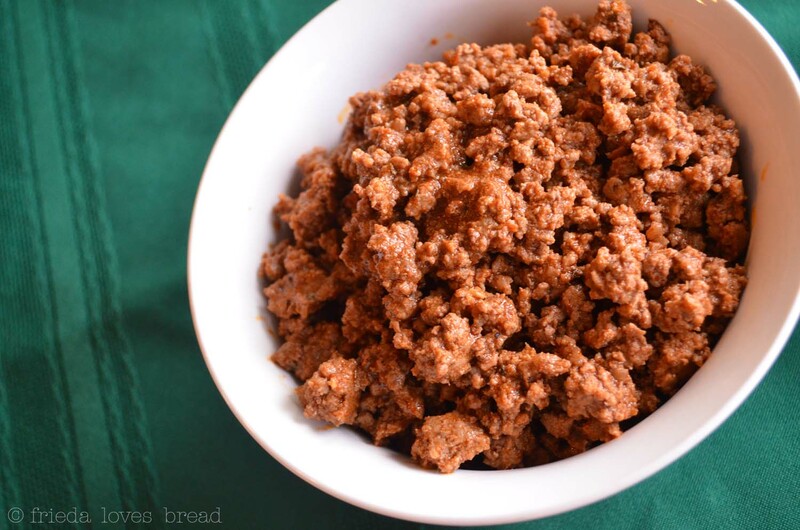 To use as taco seasoning for ground beef, add:1.1 teaspoon cornstarch to cooked and drained ground beef and stir over medium heat.2. 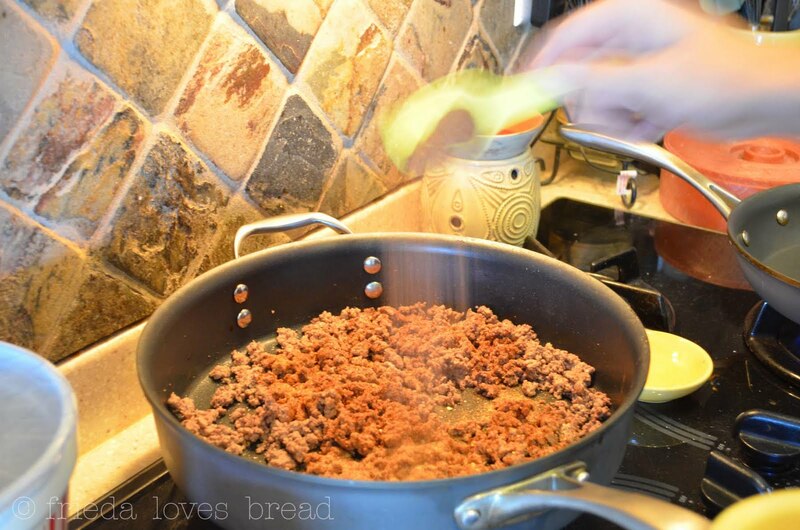 Add 2-3 Tablespoons of Taco Seasoning Mix and stir over medium heat for 1-2 minutes to allow spices to 'bloom'.3. Add 2/3 cup water, mix and simmer till thickened. I love homemade seasonings! I recently came across one for Onion Soup Mix! I've been making my own taco seasoning for a couple of years now. It is much better than the packet. I make a huge batch and keep it in a jelly jar on my spice shelf. It's kind of a pain to get out all those spices, so that makes it easier. Mine is pretty similar to yours, but I put ground chipotle in mine. Yum! My daughter's only three but she loves spicy food. Making your own is great because you can customize it to your tastes. Great post! I started making my own taco seasoning after I got married and we were both still in college to save money. My seasonings are pretty much the same as yours ;). However, this last year I used smoked paprika for the first time and would suggest trying it in taco seasoning - so delicious! What a terrific idea! Since taco seasoning (in the gynormous size @ Costco) is so inexpensive - I find myself just "settling" for it - if you know what I mean. But I agree with you - it's just a bit too spicy (in some kind of strange way I can't describe). I also love smoked paprika - so I am sure it is wonderful in your recipe. Thanks for figuring this out! WONDERFUL! I love it! How clever and no sugar...I'm forever grateful! This is perfect. I a trying to totally get away from package things like that. Thanks for sharing this. Come and visit us today. We have a great chilled soup for summer and a give away from the Fairy Hobmother! Wasn't it fun to make your own taco seasoning. I made a big jar, so hopefully it will last me a while. Your tacos look fantastic! Thank you so much for this recipe! I'm not a big "heat" person, so mixes are either too spicy or bland. Can't wait to try this! Great photos. I bet the sugar increased the heat factor. 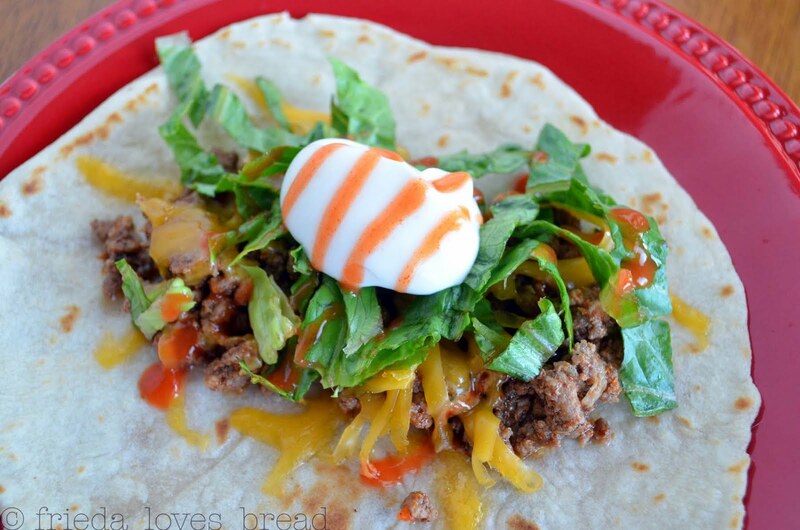 I need to make my own because we go through taco seasoning like wild fire around here sometimes. Thank you so much for sharing this recipe Frieda! I can't wait to mix up my own. I love your blog--keep up the good work! Hey again! With the help of my husband, I made my own taco seasoning this evening AND used it in a mac and cheese recipe that I'm addicted to. I could really taste the difference--the flavors really popped. Again, thanks so much for sharing. Next time I'm going to make a huge serving that I can use to months to come! Sarah ~ Yay! What a great idea to use this to kick up some mac N cheese! Thanks for sharing your recipe! Thanks for the link love, Frieda! I absolutely love making my own seasoning. This sounds fabulous and cornstarch is a great idea! Happy Holidsays!